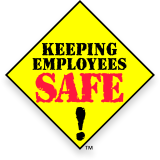 DEenergize safety signs are designed to help you respond immediately to various Lockout/Tagout related signage needs. 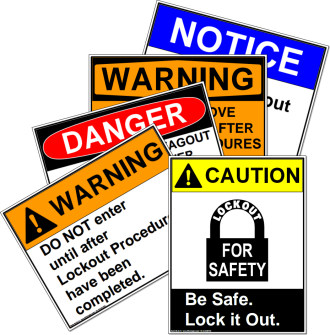 Whether performing Maintenance, repair or general cleanup tasks, safety signage raises awareness by alerting employees of potential hazards to enhance and improve your organization's Lockout/Tagout program. DEenergize safety signs can be downloaded free of charge in PDF format, or optionally purchased premade for your convinience. Made in the United States, DEenergize safety signs are manufactured of the highest quality materials for unsurpassed durability and performance in harsh industrial environments.